On the eye: golden, copper hints. On the palate: spicy in the mouth and woody aromas. Smooth at the finish. 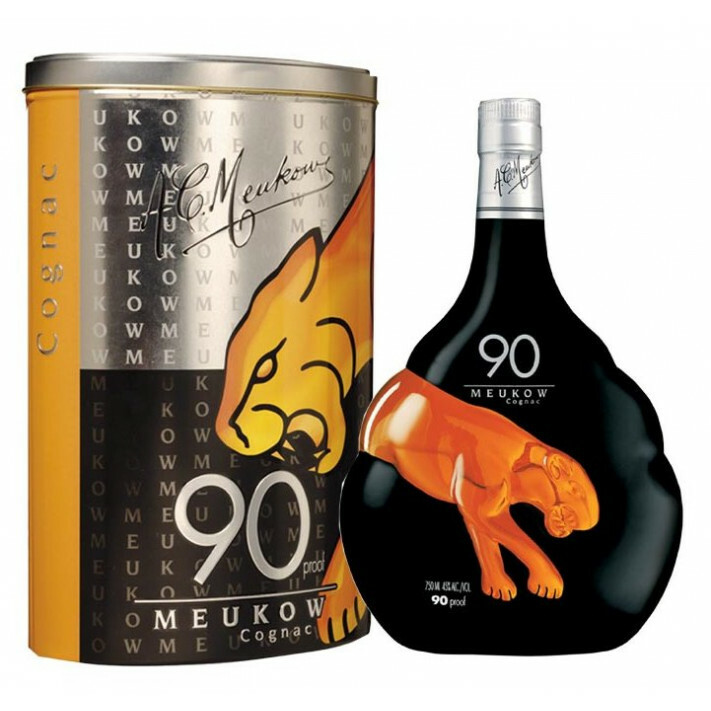 The Meukow VS 90 Cognac is a wonderful over-proof cognac (45%) that makes it ideal for many different situations. 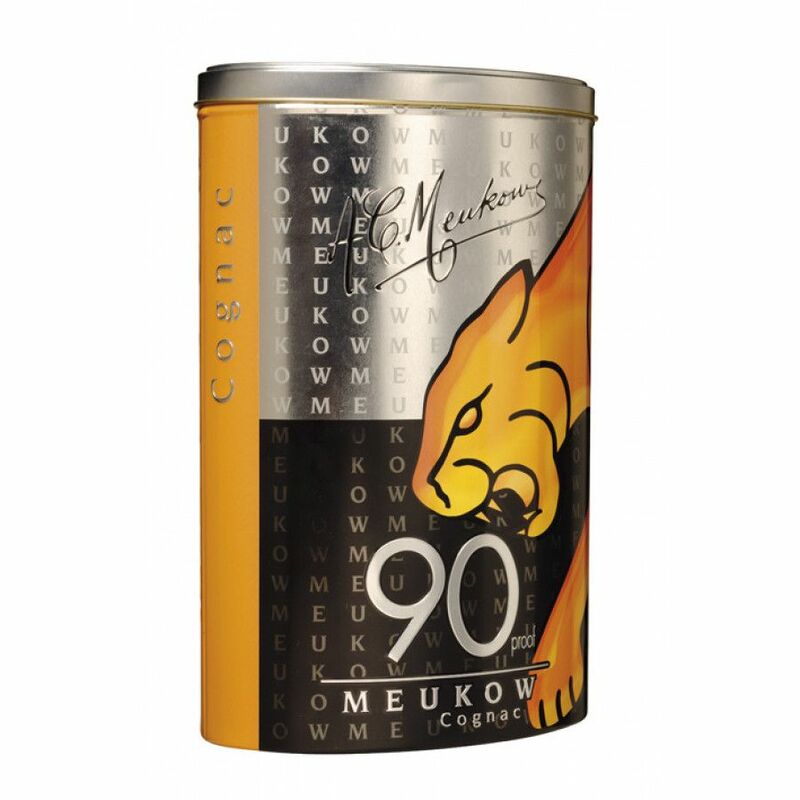 Enjoy as a base for your favorite cocktail, or simply enjoy it neat - a great way to enjoy this complex yet harmonious blend that's characterized by its power and aromatic persitance. Although it's technically classifed as a VS quality, the blend is aged for well over the amount of time you'd generally expect for a cognac of this quality. 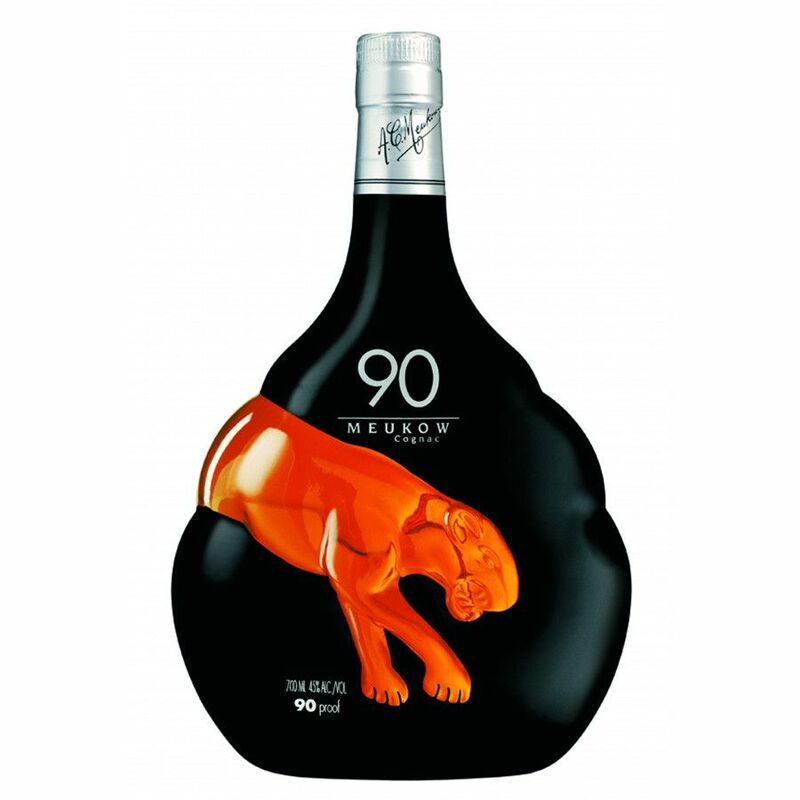 And the presentation is stunning - in a jet black bottle with the classic pouncing panther emblem of Meukow.